Coming to Austin, Texas this March: The 22nd annual South by South West (SXSW) Festivals! South by South West (SXSW) is a set of music, interactive, and film festivals that occur every March in Austin, Texas. The festival was created to serve as a hub for artists, creators, and their audiences to develop and further their careers and expand upon each other’s creative ideas. It’s lively and artsy home of Austin attracts audiences from all over the globe and offers an ideal setting for people to meander from venue to venue, exploring live performances, sitting in on informational panels, and networking with others in their industry of choice. The first SXSW festival was the 1987 South by Southwest Music Conference in Austin, Texas. Since then, the festival has grown to become the largest of its kind in the world, with more than 2,000 artists performing at over 100 venues, and almost 28,000 conference participants. Every year, the festival serves as a promotional platform for members of the music and media industries, including artists, panelists, businesses, and audiences. The music festival is unique in that incorporates thousands of live musical performances with panels, presentations, and other special events that are located at various venues throughout the area. About six events take place at each venue every night, meaning there are over 100 bands playing at any given moment. With a conference badge, you can start venue hopping at 8pm and attend as many events as you can make it to before the last show ends at the stroke of 2am. Strategy and efficiency is key! In 1994, SXSW added the Interactive Conference to accommodate the growing technology and digital industries. This branch of the festival features panels and presentations by some of the tech-world’s industry leaders along with special events that showcase the newest websites, video games, and startup ideas as a preview for the nearing future of technology. This year’s Interactive Conference will include sessions such as the 18th annual SXSW Interactive Awards and the SXSW Trade Show, as well as the SXSW Gaming Expo – an open platform of game tournaments and game testing for consumers, developers, and game masters. Also added in 1994, the SXSW Film Conference and Festival gathers filmmakers and film lovers from around the world to preview the latest and most innovative film ideas. Over 150 film sessions occur throughout the week each year, which inspire discussion and networking among film industry members such as directors, actors, producers, and fans among many others. The festival breathes creativity and collaboration, and is an opportune setting for making connections with some of the best in the biz. South by Southwest, the Film, Music and Interactive festival of Austin, Texas, has grown every year since its inception in 1987. True to tradition this year’s festival, which took place March 7-16, was a huge success, featuring exceptional keynote speakers, films, performances, apps, games, and so much more. This year was also unfortunately host to more drama and destruction than in years past. Below you’ll find an overview of the festival’s most compelling moments. The SXSW film festival spanned the course of nine days and premiered everything from the anticipated feature Veronica Mars, to world premiere and winner of the Documentary Feature Competition The Great Invisible. Below is a short list of some of the films that made a big splash in Austin this year. Creating quite the buzz is narrative feature Grandy Jury Winner Fort Tilden two young Brooklyn women and their humorously endless journey to the beach. Vessel, a film about a captain who provides abortions at sea, was the winner of both the Documentary Feature Competition Audience Award, as well as the Jury Award for Special Recognition for Political Courage. This year SXSW introduced a new category of film: Episodic. The winner for this new category focused on the television screen was Silicon Valley. The anticipated new series will premiere on HBO April 6th. Six full days of musical performances showcased over 2,200 “regional, national and international acts.” For a comprehensive list of performers click here. 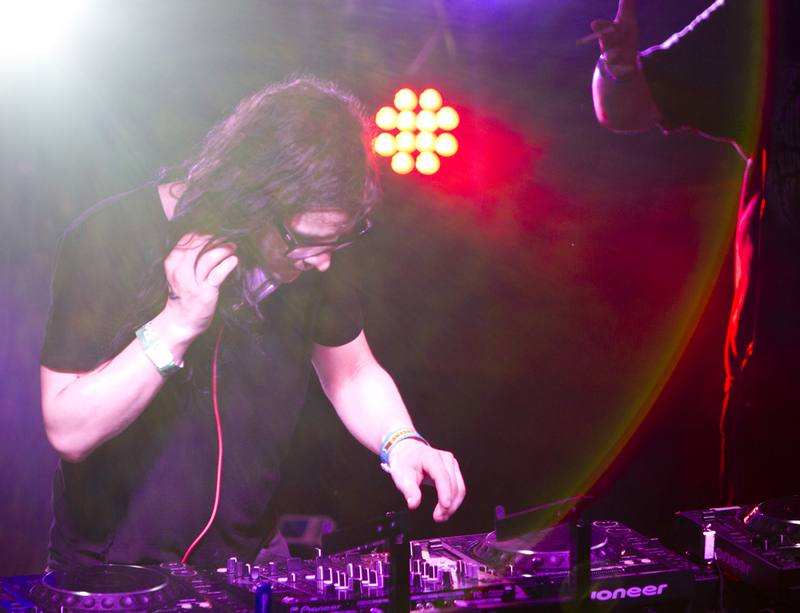 Here are some picks of the many notable artists featured at this year’s SXSW Music festival. 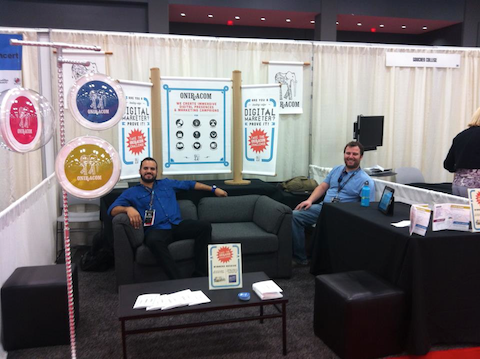 Jacob, Mike, and Haaris hit up SXSW, the great tech and media conference, in Austin, TX last week. The Oniracom crew had a great time connecting with new and old brands and businesses in Austin, and are now back with fresh ideas and ready to ring in Spring! Be sure to take a peek at all of the fun Instagram shots below! We are feeling nostalgic for SXSW already, see you in a years time Austin! We recently returned from an insane ten-day trip to Austin, TX for this year’s main event in music and technology: SXSW 2012. SXSW (Pronounced “South by Southwest,” or simple “South by”) is a massive festival/conference gatherings of tech, film & music professionals, entrepreneurs, and enthusiasts. This year’s SXSW saw its high points and higher points. Keep up with @Oniracom, @JacobTell (Jacob Tell, CEO), @MikeWald (Mike Wald, CBDO), and @JustTheDavis (Justin Davis, Lead Strategist) for all the latest from the ground at SXSW! Been meeting some great people out here! This city is so cool. The nights have been long and fun! Oniracom is enjoying a full week of film, music & interactive at SXSW2011 by attending screenings, live shows and conference panels in Austin this week. We have made a tremendous amount of quality contact with the true innovators of 2011 both for Oniracom and our newest venture ProducersPortal.com. While attending SXSW 2010 in Austin this past March, I had the privilege of getting to see a number of Oniracom clients who were playing, including a handful of performances by Rogue Wave. I have seen Rogue Wave perform a number of times, but there was something I really liked about this particular set. It was at one of the day stages inside the Convention Center where the conference trade show and panels take place, and it was on the last day. It had just started raining outside, everyone was exhausted from the whole week of the conference, but a couple hundred people gather at this day stage to watch The Middle East (another great client of ours) and Rogue Wave play. Rogue’s set was a little stripped down from what it usually is, with the frontman Zach playing with an acoustic guitar throughout the set rather than electric. Even with the mellow atmosphere, Rogue Wave was still able to rock it. I’m sitting at the airport gate right now waiting for my flight out to LAX, then I’m on my way to Austin for SXSW. Luckily there is wireless at my gate so I can go through the massive list of panels, shows, talks, keynotes, and booths at the festival to decide where I want to go and who I want to meet. I already have a couple plans to meet up with some cool like-minded companies as Oniracom (like TopSpin and CultureJam), see some of our clients play (Rogue Wave, The Middle East, The Northern Crowns, Christa Borden), and meet up with some companies we already have the pleasure to work with (Justin.TV, TAO, and Luck Media). It’s going to be a busy 4 days to say the least, but I’m excited to take it all in. How can artists and labels use new technologies and services to sell directly to consumers, retain more of the sale price and build relationships with fans? Services are emerging which offer the framework to go direct. Learn what the new intermediaries can and can’t do for you and your fans. This one caught my interest immediately because it is moderated by Glenn Peoples (Senior Editorial Analyst at Billboard). I’ve been following Glenn’s writing on the state of the music industry since before I started working in the industry. There are a ton of people who write about the music industry, but this guy is the top of the top. Highly recommended. I really look forward to meeting him. Click “Read More….” to read the rest!